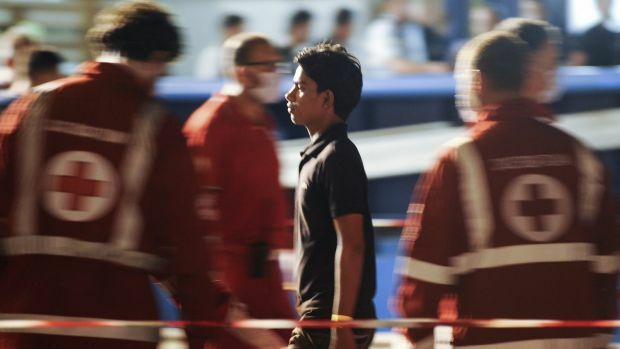 Parndorf, Austria: As dozens of corpses were found in a parked truck in Austria, and another migrant boat sank off Libya, the crisis that is overwhelming Europe deepened and threw up new tragedies. 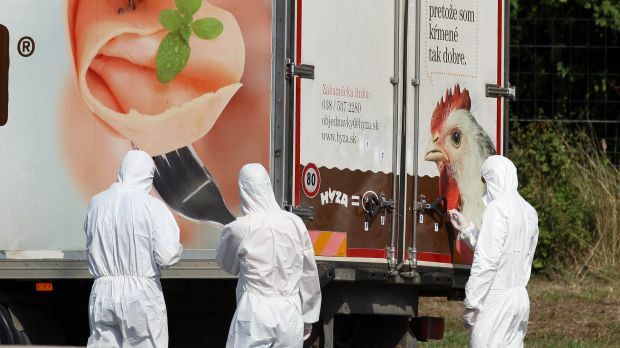 The abandoned refrigerated truck was found by an Austrian motorway patrol near the Hungarian border on Thursday, with fluids from the decomposing bodies seeping from its back door. “One can maybe assume that the deaths occurred one-and-a-half to two days ago,” Hans Peter Doskozil, police chief in the province of Burgenland, told a news conference on Thursday, adding that “many things” indicated the migrants were already dead when the truck crossed the border. Austrian authorities said on Friday night that four men suspected of human-trafficking had been taken into custody in Hungary. Police originally estimated there could have been more than 20 or as high as 50 bodies. On Friday the Hungarian officials confirmed the truck contained 71 bodies, including four children. The dead appear likely at this point to have been Syrian refugees and to have died from suffocation, but forensic investigators are still working on establishing identities and confirming the cause of death. Among the dead were 59 men, eight women and four children, including a 1-or 2-year-old girl and an 8-or 9-year-old boy. “Some 100 illegal migrants have survived,” the official said, adding that rescue operations were continuing. Those on board had been from sub-Saharan Africa, Pakistan, Syria, Morocco and Bangladesh. Even before the latest incidents, the International Organisation for Migration estimated 2373 people had died so far this year while trying to reach Europe by sea, and 3573 in the past 12 months. Poseidon disembarked 471 migrants who were among the more than 3000 rescued by several ships on Wednesday. 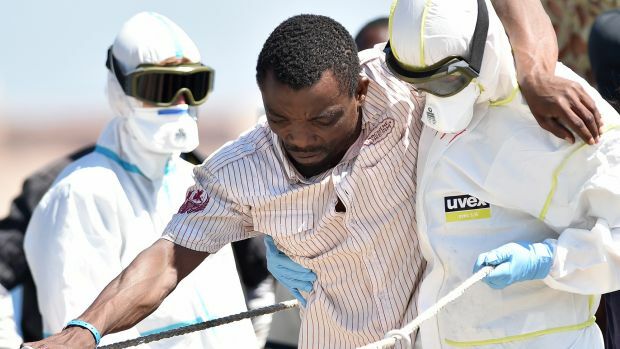 “There are thousands and thousands of dead lying in the Mediterranean whose bodies will never be found, and no one is paying attention,” Palermo mayor Leoluca Orlando said. Investigations were launched in Austria and Hungary after the bodies in the truck, with Hungarian numberplates, were discovered. “When they checked, they found it had no driver and blood was dripping out of the vehicle and there was a smell of dead bodies,” he said. Janos Lazar, Hungarian Prime Minister Viktor Orban’s​ chief of staff, said a Romanian citizen had registered the number plate in the eastern Hungarian town of Kecskemet. 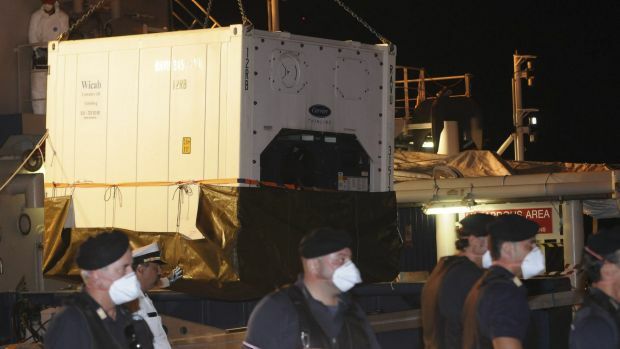 Police said forensic experts would work through the night before the bodies would be transported to Vienna for further examination and to help establish their identities and cause of death. European Union foreign policy chief Federica Mogherini​ said she hoped the tragedy would push member states to “take decisions and responsibility”. European Commissioner Johannes Hahn reiterated that Brussels would propose within weeks a fresh look at the situation, with a view to sharing responsibility between countries. “We will have another go at quotas. I hope that in the light of the most recent developments now there is a readiness among all the 28 [EU member states] to agree on this,” he said. 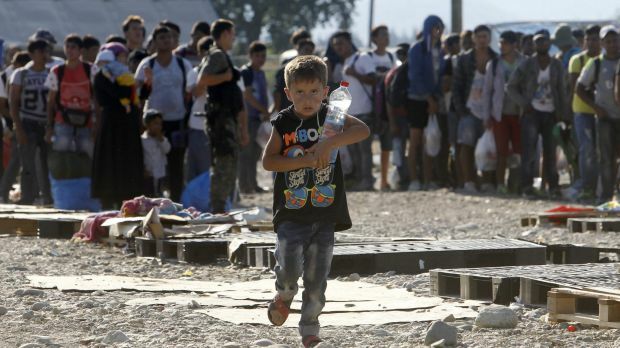 On Wednesday, the new top emergency relief official at the United Nations urged the world’s rich countries to step up aid to war zones in the Middle East and Africa so that refugees were not forced to seek safety in Europe. “If you’re frightened for your life or unable to feed your children, your first response is to flee to where you think you might be able to meet those needs,” Stephen O’Brien, undersecretary-general for humanitarian affairs, said. His agency, the Office for the Co-ordination of Humanitarian Affairs, says it needs $US19.44 billion ($27.33 billion) this year to provide aid to 78 million people around the world, most of them in conflict zones. Only 35 per cent of that money has been pledged or received, underscoring the financial pressures facing the agency.